This morning, we finally got the details of Thom Yorke's anticipated Suspiria score, but that's hardly the only Dario Argento-related news we are getting today. Soundtrack reissue hub Waxwork Records has announced it's celebrating the famed horror director's 78th birthday with a trio of deluxe, expanded soundtrack reissues. Celebrating Argento's birthday on Friday (September 7), Waxwork will release new reissues to his beloved films Profondo Rosso, Inferno and Phenomena, all of which come loaded with a pile of extras. 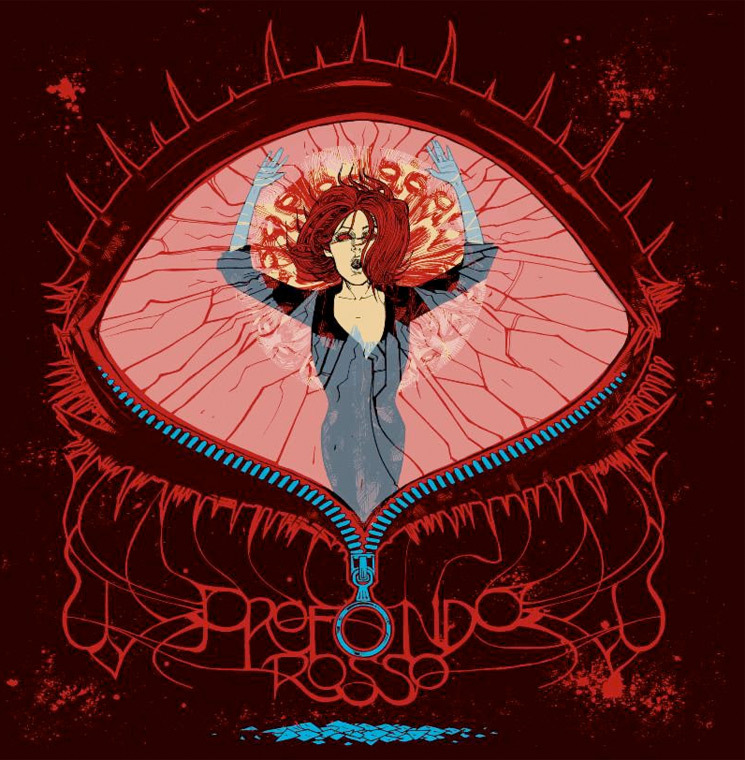 First up, Goblin's soundtrack to Argento's stone-cold 1975 classic Profondo Rosso (a.k.a. Deep Red) is being expanded into a monster triple-LP release. This is being called the "definitive" version of the score, and it features the complete original 1975 album by Goblin, in addition to "the complete alternate versions, instrumentals, original score music by Giorgio Gaslini, source music and haunting sound effects." It marks the first time all the film music has been collected on a single vinyl release. Then there is the reissue of the late Keith Emerson's Inferno. The soundtrack originally came for Argento's 1980 Suspiria sequel and the second film in "The Three Mothers" trilogy. Emerson's haunting score has been newly remastered for this new vinyl release, which will come as a 2-LP set featuring the complete original soundtrack, in addition to outtakes and alternate tracks. Finally, Waxwork will reissue the score to Argento's 1985 film Phenomena (a.k.a. Creepers), which was done by Goblin members Claudio Simonetti and Fabio Pignatelli. While the original soundtrack release featured a selection of '80s metal greats like Motörhead and Iron Maiden, the reissue will focus on the Goblin members' score, which will be expanded into a double-LP release featuring "all unused, unreleased, alternate score tracks, suites, and bonus tracks." All three reissues features newly redone art and will arrive on fancy coloured vinyl. You can check out what the reissues look like below, where you'll also find a breakdown of each release and a few sound samples. As for Thom Yorke's Suspiria score, it arrives October 26 through XL Recordings. Luca Guadagnino's Suspiria remake, meanwhile, hits theatres on November 2. In honor of Dario Argento's 78th birthday this Friday, we are celebrating by bringing you the re-mastered, complete and expanded soundtracks to Phenomena (1985), Inferno (1980), And Profondo Rosso (1975). Read more at the link in our bio!